This salad with grilled vegetables has pieces of Mexican Frying Cheese and a Barbecue Ranch Dressing that tastes of summer. This blog post is sponsored by Hamilton Beach who are also generously giving a Searing Grill to one of my lucky readers. Scroll down to enter. I think a salad a day keeps the doctor away. Or at least, I must think that since I have a salad for lunch almost every day. I fill my plate with greens and then topple on bits of leftovers or canned salmon or chickpeas. Then I add whatever crunchy cold vegetables I find in my crisper drawer, like cucumber, carrots and celery. But when I’m making a salad for real, when I’m not just throwing bits of whatever onto a plate, I take the opportunity to make the ingredients special. For this salad I marinated the vegetables in a red wine vinegar mixture and then put them on my counter top Hamilton Beach Searing Grill. When they were done, I took them off and added some Mexican Frying Cheese. Have you tried this stuff? You cut big slices of it and then put it in the frying pan or on the grill. It gets soft on the inside but doesn’t get goopey on the outside. So it doesn’t fall through the grill grates. The smokey rich grilled cheese adds so much to the salad. The grilled veggies and cheese go onto a pile of greens. And then the dressing. Oh the dressing. It’s pretty amazing. And so easy. 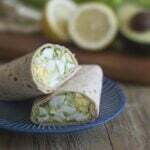 It’s a BBQ Ranch Dressing made by mixing together one part barbecue sauce with three parts ranch dressing. It still tastes like ranch but with this summer tang. 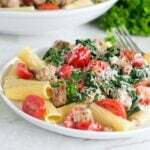 This ratio works equally well with Italian dressing instead of ranch dressing, if you want to give that a try instead. 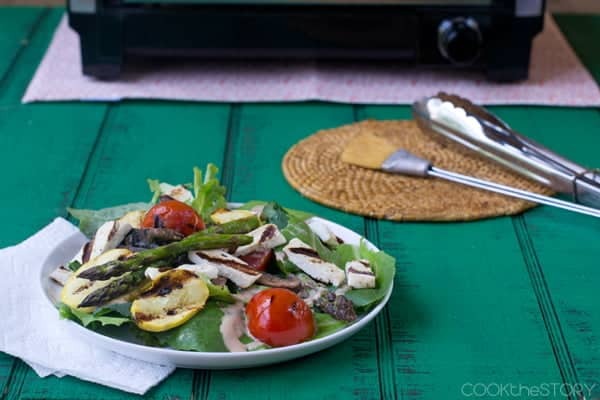 To get the recipe for the Salad with Grilled Vegetables and BBQ Ranch Dressing head over to the Hamilton Beach blog, Everyday Good Thinking. And now you can enter here too when your own Hamilton Beach Searing Grill. The Hamilton Beach Searing Grill is perfect for the times when my husband is monopolizing our outdoor grill and I want to make something quick for an appetizer. It’s also the perfect grill for those living in apartments that don’t allow outdoor grills, or for those who face snowy winter months, if you don’t want to have to shovel out your grill. 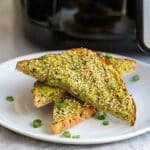 Disclosure: I was paid by Hamilton Beach to develop a recipe for their blog Every Day Good Thinking, and to provide photography for the recipe. Today’s blog post on Cook the Story and the giveaway were optional. Hamilton Beach is providing the grill for the giveaway and sent me one for review purposes. All opinions are my own. Whenever I need fresh veggies, I always check out http://www.market25produce.com. They consistently provide me with the best tomatoes, peppers, onions and more! Who won the giveaway ? I love to grill steak. This would be great for my brother who is in college! I love to grill steak with a little salt and pepper. I love to grill steaks w/ a BBQ marinade. I love to grill vegetables on the grill – especially eggplant, pepper and onions. I love to grill chicken! Love the char taste on it! Especially BBQ chicken! My favorite is probably grilled tri-tip, made with a dry rub. Ooooh, the sandwiches from the leftovers….. YUM! I have learning to cook my entire meal on the grill! My favorite meal is marinaded chicken and fresh veggies! I love grilled vegetables, especially roast peppers. I love to grill fresh salmon. This sounds amazing!!! I love to grill flatbreads… I think I need to buy some of the cheese to give it a try. My favorite grilling recipe is my husbands London Broil with his special rub and asparagus grilled with spices. This is a perfect salad Christine and now that I learned how to enjoy asparagus it is the perfect addition to it! This looks SO delicious! My favorite recipe on the grill is cedar plank salmon! 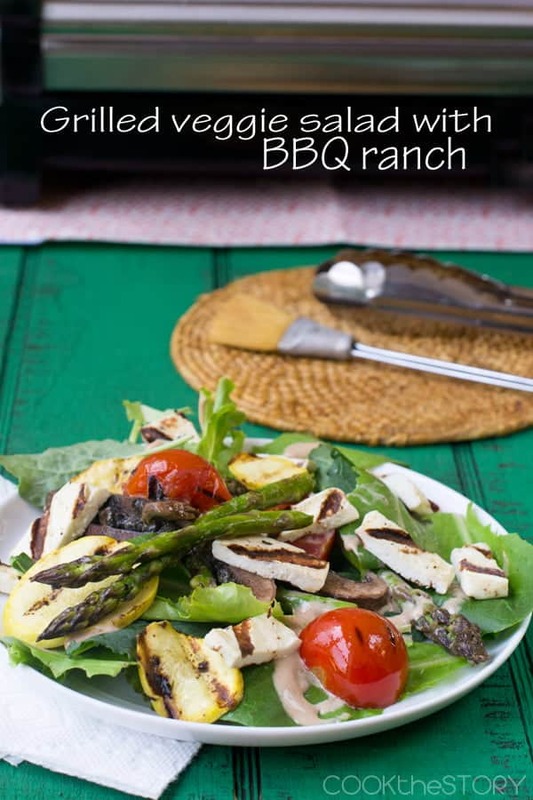 Love grilling vegetables in the summertime – this looks so good Christine!